Our client is a fantastic Oxfordshire based Trust seeking an experienced and motivated Property Surveyor to join their team. The successful candidate will manage the delivery of a comprehensive property maintenance and management service to the Trust's care homes in Oxfordshire itself, as well as across the Trust in other counties on occasion. The role will involve the following key responsibilities: Assist in the preparation and control of property management and investment budgets Undertake the management of any craftsmen, including agreeing, organising and managing their workload, as well as consultant surveyors, engineers or other specialists Undertake annual Assessed Needs Surveys covering the main buildings and outbuildings Carry out stock condition appraisals of the external and internal building fabric, service systems and external works taking into account statutory and non-statutory regulations and best practice guidance. Agree the scope of building works to be undertaken in conjunction with the Operations team, and prepare tender documentation, as well as provide a responsive service to manage and implement day-to-day repairs and requests for minor improvements Provide day-to-day supervision of works on site, instructing and agreeing variations to the work and undertaking quality control for the Trust to ensure works are undertaken to the highest industry standards. Liaise with contractors at all levels, dealing with queries on a day to day basis, holding site meetings and taking minutes as appropriate Prepare a monthly written report on the progress of all maintenance projects, capital and servicing works being undertaken. Deliver the implementation of repairs and maintenance works in accordance with current legislation, including vetting contractors, approving risk assessments, method statements, monitoring site operations and the compilation of health and safety information for updating property manuals The perfect candidate will have the following qualities, skills and experience: A good degree in a construction related discipline Full membership of RICS, MCIOB or MBIFM Experience of Property Management in preferably in the Healthcare sector and/or care environment. A bit about us Arcus aim to lead the way for Engineering through outstanding service & reliability delivered by exceptional people. We specialise in providing planned and reactive maintenance services to the retail sector whilst adhering to our core values - Do it SIMPLY , Do it WELL , Do it WITH PASSION which underpin everything we do Your new role As a Fabric Specialist you will effectively deliver refurbishment & repair works to customer focused areas for our client's portfolio of buildings across the South East. This is a pivotal role in our M&E division where you will play a key part and in our ongoing growth and success. 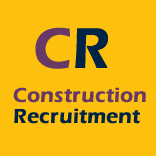 What you'll be leading on Supporting and assisting the Team Leader and General Builder for the day to day works required you will have a have basic knowledge and understanding of construction principles and practices. You will carry out various repair & renewal works to our clients external and internal customer focused areas, that may include but not limited to: - Basic Painting, Plastering and Decorating Carpentry repairs Deep Cleaning Assist with surveys if required You will ensure compliance to all H&S related areas including, skills related training, accreditation, effective H&S auditing and adherence to testing schedules You will maximise production levels by ensuring efficient controlling of materials purchased You will support with the development and implementation of cost savings to the Client Ensure all activities are undertaken by all team members with the corporate Values and Behaviours in mind Due to this role being field-based / mobile having a UK driving license is mandatory and be based within 30 minutes' drive of Guilford. To be successful you will have Recognised apprenticeship in a Building Trades discipline Competent to carry out works across multiple building trades disciplines Experience of Carpentry, Plastering, Rendering & Painting IT Literacy A valid UK drivers licence What we offer In addition to a competitive salary, Arcus employees can enjoy 25 days annual leave plus 8 Bank Holidays, a company van, a generous contributory pension scheme of matched contributions up to 6%, Life Assurance and Gym discounts, a discretionary bonus scheme and life assurance. At Arcus we are passionate about individual development which is why we are proud to offer excellent Learning & Development opportunities to all of our staff across our organisation. And finally… Please note that due to the high volume of applications received, we are unable to respond to those who do not meet the required criteria for this role and only candidates who meet the minimum criteria will be contacted. Personal information which you supply to us during the recruitment process will be used for assessing candidate suitability for vacancies within Arcus. Such data includes candidate qualifications, skills, experience, employment history, current and / or expected remuneration and benefits. Information about any disclosed disability will be used to assess whether Arcus needs to make reasonable adjustments during interview, selection or employment. Such information will be shared internally, including with members of the HR and recruitment team, and managers in the business area being recruited to. We will only keep such data for as long as is necessary for the recruitment process. Should we wish to keep date for longer, e.g. for talent pooling, we will seek the candidate consent to do so. Employment decisions are not based solely on automated decision-making. Arcus FM has a commitment to sourcing candidates directly and as such we do not accept speculative CV's from agencies. We do, however, work with a defined list of preferred suppliers who may be invited to support us in sourcing candidates for particular roles, but, in line with our PSL, we only pay agency fees where we have a signed agreement in place and an agency has been instructed by a member of the Arcus FM recruitment team. We do not pay agency fees where speculative and unsolicited CV's are submitted to Arcus FM or Arcus FM employees by any means other than through our agreed recruitment process. Where this is not observed Arcus FM reserves the right to contact these candidates directly and initiate discussions without payment of any agency fee. Submission of any unsolicited CV's and proposals to Arcus FM will be deemed evidence of full and unlimited acceptance of this Agency policy. Our Client is looking for an M&E Technical Building Engineer who is based near Swindon to undertake the maintenance and repair of the HVAC, Electrical and Mechanical services, including fabric tasks of buildings. To ensure that all sites are set up to the correct standard required to pass site inspections and audit (internal and external). Client Details Our client are a market leading FM service Provider in the UK. Description The M&E Technical Building Engineer will be site based in Swindon: Carry out Planned Preventative Maintenance and complete the appropriate paperwork Carry out the Reactive and Emergency tasks and complete the associated paperwork Ensure all statutory certification is in place - received, checked and logged within the required timescales To ensure correct asset capture and frequencies inline with the contract and legislation Assist other team members when required or as directed from Technical Services/Asset Manager Ensure that all tasks are completed within the contractual time scales - be knowledgeable of contract priorities and KSL's Work to Sub Contractor processes for all sub-contractors with regards to standard of work and Health and Safety, issue of appropriate Permits, controlling small works Adopt a flexible attitude in relation to assisting on other properties within the portfolio All duties carried out in accordance with company policies and procedures To understand and complete all work related documentation accurately and on time To ensure all works are carried out in a safe and diligent manner To comply with all Health and Safety policies and procedures To attend and fully participate in training and appraisal activities as required To undertake additional duties in line with capabilities as required Take part in an Engineering Call Out Rota as/ if required Profile The M&E Technical Building Engineer will have: Experience with maintenance, testing & fault finding on a variety of fixed assets and public health systems, including but not limited to: LTHW boiler plant, HVAC equipment, CWST, pump sets, standby generators, LV/ HV switchgear, cabling, Batteries, small power and lighting (where applicable) Knowledge of Health & Safety, safe working practices and CDM Professional and client facing at all times Strong customer care focus Excellent communication skills Ability to anticipate and/or diagnose and repair faults Capable of completing essential documentation (paper and PDA) in accurate and timely manner Proven track record working in building and construction of FM Industries. Interest in career development/progression Must have a driving licence Job Offer Salary is between £36,000 - £38,000 per annum On call is 1 in 5 - paid at £100 per week, minimum call out of 4 hours paid. Monday to Friday - 40 hours per week No vehicle included but pool van on site to get to other sites during work hours or when on call. Great all round benefits package including: 25 days holiday + bank holidays, pension and many more. Fabric Maintenance Technician (Area Maintenance Technician) We are recruiting for a mobile fabric maintenance operative (Area Maintenance Technician) to complete PPM and reactive maintenance of fabric and general building upkeep plus water and temperature checks and associated Legionella's scheduling. The role will cover the handyperson and improver duties associated with the maintenance of commercial facilities. Based from the North East area On Offer: The role is a permanent position paying up to circa £24,000.00 Mobile role and vehicle provided Circa 40 hours/week Mon-Fri (flexible) On call (frequency TBC) This is a key position, carrying out planned and reactive maintenance across a number of site locations. The purpose of this role is to carry out non-technical repairs and handyperson tasks. You will also assist in carrying out planned and reactive maintenance, electrical, and mechanical plant works at various sites with the lead engineers. All work will be completed to the highest standards in an efficient and cost-effective manner, whilst complying with all Health and Safety legislation. Assist the engineers or other technicians with any major or minor maintenance work. Complete all necessary PPM's and reactive maintenance schedules within agreed timescales and to ensure all necessary paperwork is completed accurately and as required. General fabric handyperson tasks and Legionella prevention tasks General painting, patch plastering, basic joinery, ceiling tiles, etc. Responding promptly and positively to service call requests from the Helpdesk and to assess the requirements of the job and carry out repairs as necessary. Prioritising and completing minor fabric maintenance and repair work to agreed timescales. Ensuring all tools and equipment necessary to complete minor maintenance and repairs are available and serviceable at all times. Although aligned to an area for the purpose of PPM completion there may be times that the engineer will be required to attend other sites within the cluster to carry out work. Attend training courses as and when necessary by the company. Complying with the company Health and Safety Policy at all times. Assisting teams when requested. Represent the company in a professional manner at all times and develop a good working relationship with client colleagues. Carry out all tasks in accordance with specific KPI's. You will be part of a 24/7 call out rota. Requirements: Educated to GCSE / Standard Grade level as a minimum. Any trade qualifications would be advantageous. Previous experience in building maintenance is required. Ability to maintain and repair a range of equipment. Quality of repairs and maintenance. Speed and efficiency of work. Problem Solving. Valid driving license Good PC Skills - Apple and Android. Response to service call requests within agreed response times Achievement of PPM schedule within agreed timescales Maintenance of Health and Safety policy If you are interested then please click the APPLY button now PRS a re a leading specialist recruitment and search & selection consultancy within the Building Services, FM and Support Sectors. Please note if you have not heard from us within 5 days, then your application has not been successful. PRS is an equal opportunities employer. This position will require a hard working, dedicated, professional and ambitious individual. Who will be working on a variety of client portfolio's. You will be required to carry out PPM, reactive repairs to split air conditioning units, variable refrigerant volume systems, chillers, air handling units and other associated plant across a range of buildings. You will also be required at times to attend other FM related issues when needed such as L8 water management regime and small handyman tasks. Benefits: Competitive starting salary On going training and development A professional working environment OT Available Call out Responsibilities: Working on a large portfolio of commercial office buildings as a multi-skilled maintenance engineer Carrying out all the servicing & maintenance of commercial air-conditioning and refrigeration units Working on Various Air conditioning systems - VRV / VRFs, split & multi-split systems As service engineer you will cover air handling, air con & refrigeration Carry out all maintenance tasks and PPM's as scheduled including electrical, mechanical and fabric tasks Complete all paperwork and documentation in a timely and accurate manner Adhere to Health & Safety guidelines My client is keen to meet with individuals with the following: NVQ level 2 (min) Air-conditioning and refrigeration Experience with VRV's, VRF's, chillers, Air handling units F Gas 2079/2089 qualified Have commercial experience in Building Services or FM Background Air conditioning and refrigeration knowledge Flexible with a positive attitude and approach 17th Edition Randstad CPE values diversity and promotes equality. No terminology in this advert is intended to discriminate against any of the protected characteristics that fall under the Equality Act 2010. We encourage and welcome applications from all sections of society and are more than happy to discuss reasonable adjustments and/or additional arrangements as required to support your application. Candidates must be eligible to live and work in the UK. For the purposes of the Conduct Regulations 2003, when advertising permanent vacancies we are acting as an Employment Agency, and when advertising temporary/contract vacancies we are acting as an Employment Business. Fabric Maintenance Manager - FM Provider - Central London - Up to 42k Do you have a background in fabric and facilities management? Are you bored of working in the estates environment? One of our major clients is currently looking to recruit a Fabric Maintenance Manager to join their busy maintenance team to work on a number of interesting environments in and around Central London. The successful candidate will be responsible for managing the delivery of the maintenance and also be responsible for various fabric projects and to ensure the timely execution and completion of all projects and ongoing works as defined by the client whilst working within budgets and agreed timescales. The main duties of the role are as follows: Manage a group of six fabric engineers. Manage of overdue works. Prepare quotes for additional works. Liaise with client's regional surveyor team. Work with account manager in managing suppliers. Manage delivery of planned project works. Successfully lead meetings with both clients and contractors. Secure new business using consistent best practice standards and maintaining close business relationships with existing/potential clients, relevant contractors and suppliers. Development of excellent working relationships with both internal and external customers. Operate within annual budgets as determined by the UK Project Lead. Provide input into the development of the building maintenance forward plan keeping in mind all future and existing project works. Advise other members of the Project Team of changes in materials and products that may be beneficial in terms of improved service levels or provide cost reduction. Identify additional work that could provide improvements for the client. Undertake annual asbestos inspections (training given). Applicants for the role must be able to meet the following requirements: Fabric/Trade background. Previous experience in the facilities and maintenance sector. Trade qualification. Previous experience of managing fabric based projects. Able to deliver quotes and survey. Financial acumen. Positive, proactive approach to work and able to work own initiative and as part of a larger team. Significant hands-on contract and project management delivery within occupied environments. IT Literate using MS office (High level of skill required). Good communication and organisational ability. Ability to work independently. Randstad CPE values diversity and promotes equality. No terminology in this advert is intended to discriminate against any of the protected characteristics that fall under the Equality Act 2010. We encourage and welcome applications from all sections of society and are more than happy to discuss reasonable adjustments and/or additional arrangements as required to support your application. Candidates must be eligible to live and work in the UK. For the purposes of the Conduct Regulations 2003, when advertising permanent vacancies we are acting as an Employment Agency, and when advertising temporary/contract vacancies we are acting as an Employment Business. An experienced ESOS Lead Assessor is required to work within a focused and forward thinking Environmental Consultancy. This role is based from Home The role will involve Visiting customer sites across the UK to ascertain how they can Improve their Environmental strategy Working with the team to create and deliver proposals Develop specifications of work in relation to energy conservation measures Delivery of Energy Audits including meeting the requirements of PAS51215 Working from home whilst still maintaining regular contact with Head Office and the Lead Assessor Team Maintaining a standard to ensure retention of the ESOS Lead Assessor registration requirements Working across a range of technologies including heat, light, ventilation, metering motors M&T, building fabric and renewables. Developing a rapport with the customer by becoming the 'go to consultant' on an ongoing basis Requirements for the role Experience in a similar customer focused advisory role within a similar industry Qualified in an Environmental discipline Demonstrable understanding of issues experienced by a variety of companies surrounding climate change, energy and greenhouse gas emissions. A clear understanding of building physics and building services engineering. Ability and experience of working from home Full Driving Licence You will be joining the company at a time of exciting growth where a number of recognisable organisations are already enjoying the benefit of the expertise offered in the existing team. The role is offered with full back office support in the collation of data and from the sales department for the generation of appointments. Site Maintenance Technician (Handyperson) Location : Stevenage Bakery Salary : £27,500 per annum Contract : Full time, Permanent, 40 hours per week Job Start Date : 03/06/2019 An exciting opportunity has arisen to join our friendly team within the Stevenage Engineering department for a Site Maintenance Technician here at Allied Bakeries. This role will work across the whole Stevenage Bakery site to ensure our site buildings and facilities are kept to the required standards to ensure all appropriate building regulations and health and safety requirements are met. Core skills required: Be highly capable of undertaking various multi-discipline building / fabric maintenance tasks, working safely to a very high standard and with the minimum of disruption to other functions. Duties to Include: General building & fabric maintenance and repairs Painting and decorating Small construction with various carpentry projects Drain and gutter cleaning and maintenance General plumbing duties Machine guarding on plant shutdown days as and when needed Common Priorities: Ensure work is carried out using safe & best working practices and ensure compliance to company safety and hygiene systems, standards and procedures Communicate accurate, relevant and timely information to the business Carry out any reasonable request the company deems appropriate Where required, be able to work unsupervised and act on own initiative Input all daily activities directly into our Site Engineering system (EAM) Support shift and day engineers in the event of a heavy workload as and when required. The role is required to work every other Saturday with a day off during the week. To apply, click on "APPLY" today where you will be directed to our company website, if you don't do this your application will not be considered! No agencies please.